My 2015 selection reflects some new courses as well as my most popular ones from 2014. I strive to blend the skills from my dental hygiene and marketing careers to create courses that are though-provoking, solution-oriented, and engaging. Do you feel if you could practice to your fullest potential that you would be happier and the practice more successful? Patient loyalty isn’t tied to how fast someone cleans teeth. Instead, satisfaction is tied to the overall quality of the visit; the time, attention, and care given to individual needs and concerns. This course will raise confidence and empower you to embrace and employ the dental hygiene process of care for personal and professional success. Do you have patients who just don’t seem to get it? Those who would benefit from periodontal therapy but somehow never schedule the treatment or worse, ask for a prophy? The reason patients don’t accept treatment isn’t that they didn’t have the information but rather that the information didn’t speak to their feelings. Both knowledge and positive emotion are key components in motivation. This course will raise confidence and empower you to reframe your patient conversations for better treatment acceptance. 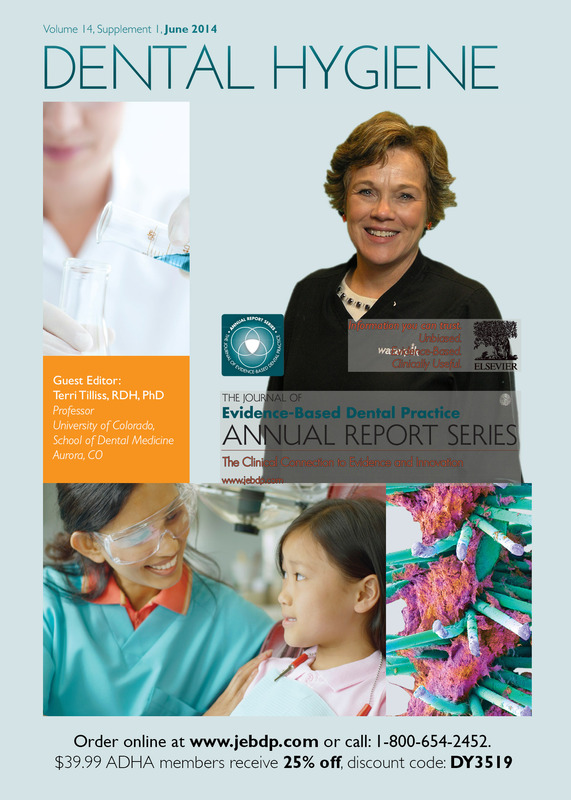 Best practices in initial periodontal therapy and evidence-based standards of care will also be reviewed. Did you learn that floss is the magic elixir preventing everything from caries to bone loss? Or perhaps you are still providing ‘routine care’ – such as prophys, fluoride treatments, and radiographs. While education provides the foundation, it depreciates over time as new research, therapies, and treatments emerge. This course will empower you to move out of your comfort zone and feel confident adopting new evidence-based strategies for everyday patient care. Do you ever dread going to work, feel burnt out, or daydream about a new career? Is going back to school not feasible? A great deal of our time, effort, and energies are focused on the workplace. Not being happy can flow into other areas and reduce our quality of life. There are some simply strategies that can enhance career satisfaction, make you feel more confident, and empowered to make the day and work place more enjoyable. Does it seem like your patient population is getting older? Are many taking multiple medications? Currently, 43 million people are over the age of 65, and the number is growing daily. It is estimated that 3 in 4 in this age group suffer from 2 or more chronic diseases such as heart disease, diabetes, or COPD. Many are cancer survivors. Others will have experienced joint replacement. This course will empower you to feel confident treating those that are medically compromised or complex, experience polypharmacy, and may have some type of disability. Does it seem as though more and more patients of all ages have a complex medical history? It is estimated that 3 in 4 adults over age 65 and 1 in 15 children suffer from 2 or more chronic medical conditions. Rising rates of obesity and a sedentary lifestyle is prevalent in all age groups. It contributes to the early onset of disability and many chronic conditions including heart disease, type 2 diabetes, arthritis, and asthma. This course will empower you understand and feel confident caring for all age groups.